On Microsoft’s big stage for E3 earlier this week a particular trailer was shown, for some it was just an anime JRPG however for others it was a confirmation they had been waiting nearly a decade for. Tales of Vesperia Definitive Edition is a rare remaster - one people have been begging for. To understand why this game is so special we have to go back to the summer of 2008 when gaming was a very different place then it is today. At the beginning of the Seventh Console generation Microsoft was making a concerted effort to appeal to Japanese gamers and Western fans of Japanese games. Using their sizable cash reserves Microsoft actively wooed Japanese developers to make exclusive games for their system. This resulted in some great games such as Mistwalkers masterpiece Lost Odyssey and the forgettable Tri-Ace game Infinite Undiscovery. There were many others but the crown jewel of this project was Tales of Vesperia. While Tales is not a huge seller in North America, it is gigantic in Japan being at the time one of the three largest JRPG franchises trailing only Final Fantasy and Dragon Quest. As such when it was announced the first High Definition Tales of game and follow up title to the beloved PS2 game Tales of the Abyss would be an Xbox exclusive it moved consoles in Japan. Microsoft has only ever sold out of Xbox’s in Japan twice and once was for the release of Tales of Vesperia. However things were not as they seemed. As it would quickly become clear when Microsoft said “Exclusive” for many of their titles the reality was far different in that they were in actually timed exclusives. With PS3 versions of many of their JRPGs coming out later -including Tales of Vesperia in Japan and even in the West. 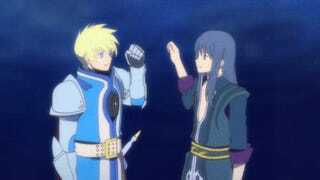 To add insult to injury the announced PS3 version of Tales of Vesperia was massively improved from its Xbox counterpart. It included two new playable characters including one who was completely absent from the Xbox version. Furthermore, while the original game was only about 40% voiced the PS3 version was fully voiced. Now if that was not bad enough it got worse as it became clear the missing content was part of the original conception of the game. With references and layouts pointing to an expanded party in the late game. In short the Xbox version was an incomplete release in the eyes of many fans. Needless to the fans were pissed and clamored to have the PS3 version brought Westward. Which never happened. In fact Vesperia which did not meet Namco Bandai’s unrealistic sales expectations (despite being the best selling Tales of game since Symphonia) started the great Tales of drought that saw several years go by without a release. Over the course of this gap multiple Tales of titles were released including remakes on the Vita and 3DS, Tales of Graces for the Wii, Tales of Graces F for the PS3, and Tales of Xillia none of which came westward in a timely fashion. However in early 2011 it was revealed Tales of Graces F would launch for the PS3 in North America alongside Tales of the Abyss 3D. Over time almost all Japanese Tales games would get localized on the PS3 with North America eventually catching up with a near simultaneous release of Tales of Zesteria. With the notable exception of Tales of Vesperia which has over time become one of the most popular entries in the franchise, having a place akin to Final Fantasy VII in its own franchise. It was widely assumed and partially confirmed that Microsoft had blocked the release from coming to the West to preserve the games Xbox 360 exclusivity on the title. Despite countless requests and a few false starts fans had begun to lose hope regarding Vesperia as the title was getting quite old a Tales was moving away from its classic styling - Vesperia was the last Tales game to have a classic world map. 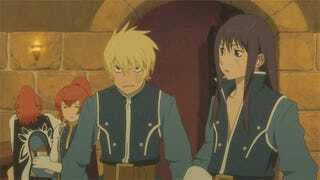 The last time there was a major boost to Vesperia hopes was Funimations release of Tales of Vesperia - The First Strike a prequel anime to the original game. Which saw the two original voice actors reunited and express hope for a rerelease. However, following that little was heard from the title. 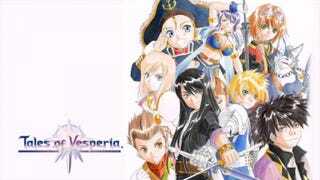 Until last week when a web page was uncovered showing a Vesperia rerelease was incoming. Of course this being Vesperia people were obviously apprehensive not wanting to get their hopes up, however in a surprise debut on Microsoft’s E3 Stage Namco Bandai announced Tales of Vesperia - Definitive Edition. A decade since its release on the Xbox 360 and nearly one since its release on the PS3 in Japan. North Americans will FINALLY be able to play the complete edition of one of the best JRPGs of the last console generation. While information remains scarse the fact it exists is enough for me.